Orange is the New Black’s Vicky Jeudy leads an outstanding cast in an indie superhero adventure that’s equal parts action, intrigue, drama, sci-fi and heart. 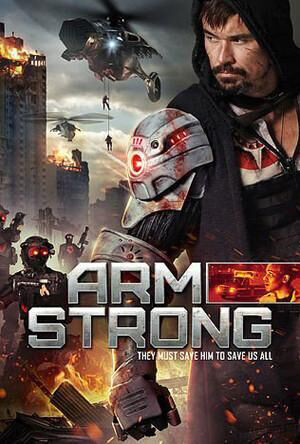 Directed by Kerry Carlock and Nick Lund-Ulrich, and based on a script by Nick Rufca, "Armstrong" tells of a rookie EMT officer and her partner who pick up a wounded superhero and are drawn into his mission to save Los Angeles from a shadowy organization. On her first night as an EMT, Lauren, an ex addict trying to atone for her brothers death, is partnered with Eddie, a jaded cynic, exiled to the graveyard shift. Their first call, a mysterious warehouse explosion, sends them into the industrial wilderness outside of Los Angeles. On the way, they’re stopped by a wounded drifter: Armstrong. When trying to contact dispatch, they realize that their radio and cell phones aren’t working and they’re on their own. Once in the ambulance, Armstrong begins to exhibit strange behavior and becomes violent. Before they can get him out of the vehicle, a fanatically assassin violently attacks them. The soldier is hunting Armstrong and wants to kill anyone who comes in contact with him. Before he can finish off the EMTs, Armstrong saves them and defeats the soldier. It is revealed that Armstrong is a high tech vigilante on a key mission: to stop a murderous doomsday cult, The Fifth Sun, from detonating a series of nuclear devices underneath Los Angeles to cause catastrophic earthquakes. To complete his mission, Armstrong needs their help. Pulled into this hidden world, Lauren must make difficult choices and overcome her personal demons to survive the night, help Armstrong carry out his mission and ultimately become the hero herself. Vicky Jeudy, Shawn Parsons, Jason Antoon and Christian Anderson star in "Armstrong," available on VOD and DVD (Walmart only) from October 3.